The Skilled stream of Australia's Migration Program is specifically designed to target migrants who have skills or outstanding abilities that will contribute to the Australian economy. Applicants or their spouses must be able to satisfy the basic requirements such as age, English language requirement, skill and work experience. Independent - for those who do not have a sponsor, or who choose not to be sponsored. Skilled - Independent - (points tested) you must be highly skilled and have education, skills and employability which will contribute to the Australian economy and must also satisfy the basic requirements. Skilled - State/Territory Nominated Independent - (points tested) you must satisfy the basic requirements and pass the points test or meet the pool mark, you may also be eligible to complete the skill matching part of your application form and the details will be placed in a skill matching database for possible nomination by a State or Territory government or employer. Skilled - Independent Overseas Students in Australia - (points tested) similar to the Skilled - Independent visa category but is only available to eligible overseas students in Australia wishing to apply for permanent residence under this category and you must also pass the basic requirements. Skill Matching - (not points tested) good option if you meet the basic requirements and do not satisfy the points test. Your details will be included in a database for a period of time where employers will have access to your details. Family Sponsored Categories - if you or your spouse has a relative in Australia in Australia who is willing to sponsor and provide financial support your applications may have a greater chance of success. Assurance of Support maybe required. Skilled - Designated Area Sponsored - (not points tested) this category is seeking skilled migrants to settle in certain designated regions of Australia. You must have a sponsor (you or your spouse must be related to the sponsor) and an assuror (a person living in Australia who agrees to provide financial support so you will not have to rely on government forms of support). The sponsor and assuror can be the same person and you must satisfy the basic requirements. Skilled - Onshore Designated Area Sponsored New Zealand Citizen - similar to the Skilled - Designated Area Sponsored visa category but is only available to New Zealand citizens in Australia wishing to apply for permanent residence under this category. Skilled - Designated Area Sponsored Overseas Student in Australia - similar to the Skilled - Designated Area Sponsored visa but only available to eligible overseas students in Australia wishing to apply for permanent residence under this category. Applicants must provide satisfactory skills assessment in any listed skilled occupation from the Skilled Occupations List (SOL). They must submit a sponsorship form with their application. Skilled - Australian Sponsored - for potential skilled migrants whose sponsors lives outside the certain designated areas covered by the Skilled - Regional Sponsored category. You must have a sponsor and an assuror who may or may not be the same person. You must satisfy the basic requirements and the points test (with 15 points for sponsorship). Skilled - Onshore Australian Sponsored New Zealand Citizen - this is similar to the Skilled - Australian Sponsored visa category but is only available to New Zealand citizens in Australia wishing to apply for permanent residence under this category. You must pass the points test as well as satisfy the basic requirements. 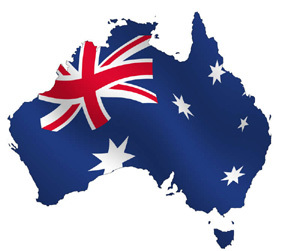 Skilled - Onshore Australian Sponsored Overseas Student in Australia - (points tested) similar to the Skilled - Australian Sponsored visa but only available to eligible overseas students in Australia wishing to apply for permanent residence under this category. You must satisfy the basic requirements and must nominate at least a 50 point occupation from the SOL and hold a satisfactory skills assessment. The Business Skills visa class of Australia's migration program encourages successful business people to settle temporarily and permanently in Australia and develop new or existing businesses. Student Visas allow international students to travel to and from Australia and Life in Australia while they undertake a full-time course of study. Student must be enrolled in a full-time training course offered by an Australian education provider registered with the Australian Government to offer courses to overseas students. If you wish to go to Australia for tourism, seeing your relatives or friends, pre-arranged medical treatment or short-term study (3 months or less) and your intention is not to work during your stay, you may apply for a visitor visa.